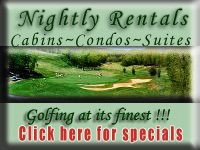 Music Shows, Cabins, Condos, Hotels, Motels. Golf Courses. Thousands of Music Show Seats. Enjoy the Scenic Wooded Hills that Branson Offers. Schools in the Branson/Lakes Area are well-funded and offer modern facilities. There are five public schools in Branson to serve its 2,500 students, the district employs more than 150 teachers, resulting in a low student to teacher ratio of 16 to 1. As an alternative to public education, the Branson area has three private schools. Many of the schools are equipped with the latest education tools, and first-rate science and computer labs provide students with hands-on experience. The College of the Ozarks is a 1,000-care campus just south of Branson in Point Lookout. This four-year college has approximately 1,600 students and has a nickname of "Hard Work U" as student work their way through college rather than paying tuition. Vocational schools are another post-secondary education option in the area, with Omar Gibson Vocational-Technical Scholl only fifteen miles away and Ozark Community Technical School also nearby. One major hospital and several specialty clinics provide a full range of healthcare services for residents and visitors. The 111-bed Skaggs Community Health Center, recently rated among the top ten hospitals in Missouri by the Center for Healthcare Industry Performance Studies and one of the nation's 100 Top Orthopedic Hospitals, offers a full range of medical services. The hospital recently opened Skaggs Regional Cardiac Center expanding its heart health programs to include a full range of adult cardiac surgery, including open heart. Satellite clinics for Skaggs and Cox and St. Johns hospitals, based in Springfield, are positioned throughout the Branson/Lakes Area. If some particularly urgent or specialty care is needed, Springfield, Missouri is a short forty miles away. There are more than 800 physicians and surgeons and more than 100 dentists either in private practice, or affiliated with one of the five hospital systems: St. John's Regional Healthcare Center, Columbia Hospital South, Cox Health System-Cox South as well as Lakeland Regional Hospital and Cox Health System-Cox North. Spiritual life is a very important component of life in the Branson region. More than 100 places of worship in the region represent a wide variety of beliefs and denominations. Baptist, Assembly of God and Presbyterian have the largest congregations in the area. Branson has a low crime rate, especially considering the enormous influx of tourists. Safety is one of the keys to the success of Branson's wide appeal. Both the Branson police department and the local citizens work very hard to maintain the low crime rate. LAKE ACTIVITIES: The Branson/Lakes Area is home to three scenic and flourishing lakes offering fishing, boating, parasailing, jet skiing and swimming. While the lakes all offer great fishing for novice and professional anglers, each has its specialty. Table Rock Lake offers world-class bass fishing. Lake Taneycomo, with its cold waters, offers superb trout fishing. Bull Shoals Lake is also an angler's paradise especially for tournament bass fishing. OUTDOOR ACTIVITIES: Nestled in the rolling Ozark Mountains, the Branson/Lakes Area is ideal for canoeing, camping, hiking, biking, birdwatching and simply wandering through the hills. The Branson/Lakes Area is dedicated to enhancing its natural environment and preserving its lakes and waterways. With more than 40 theaters and 70 performances, area shows and attractions can be enjoyed morning noon and night. Complete the Branson Real Estate Locator so I can best assist You.